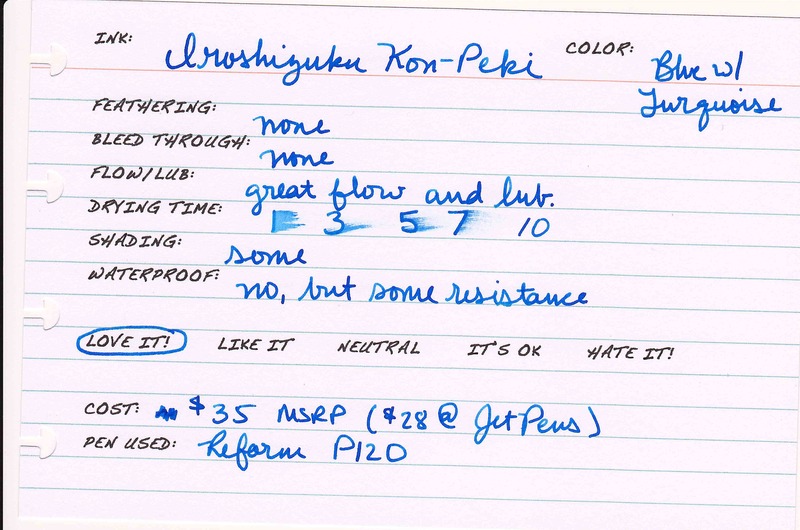 Now that I’m FINALLY back with all my review materials I can pick up where I left off on the Iroshizuku reviews and comparisons. 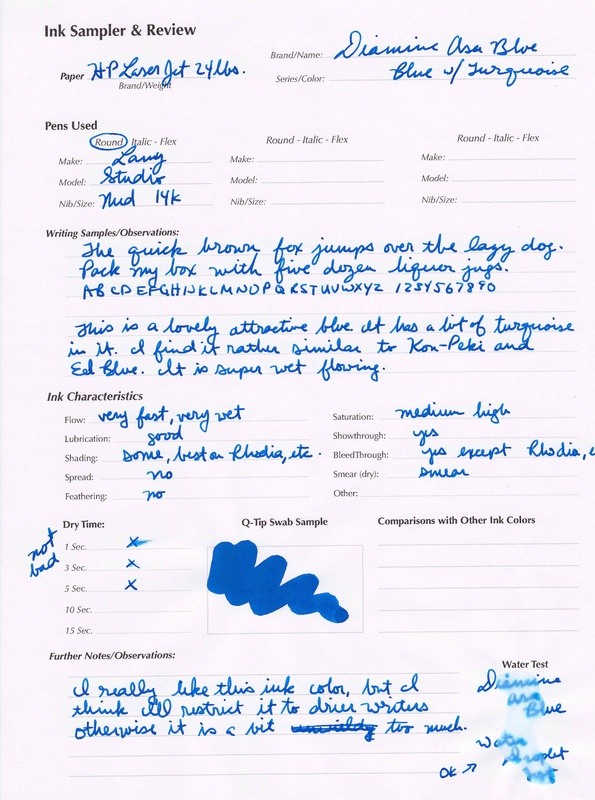 Today I’m looking at Iroshizuku Kon Peki (KP), Diamine Mediterranean Blue (MB), and Diamine Asa Blue (AB). Let me just start by saying that Kon Peki is a truer blue than either MB or AB. If you take a look at this swabbed comparison you can see that all three are roughly the same hue. They are swab from lightest (MB) to darkest (AB). While MB and AB are both quite similar to KP I think Mediterranean Blue is the better alternative in terms of color. 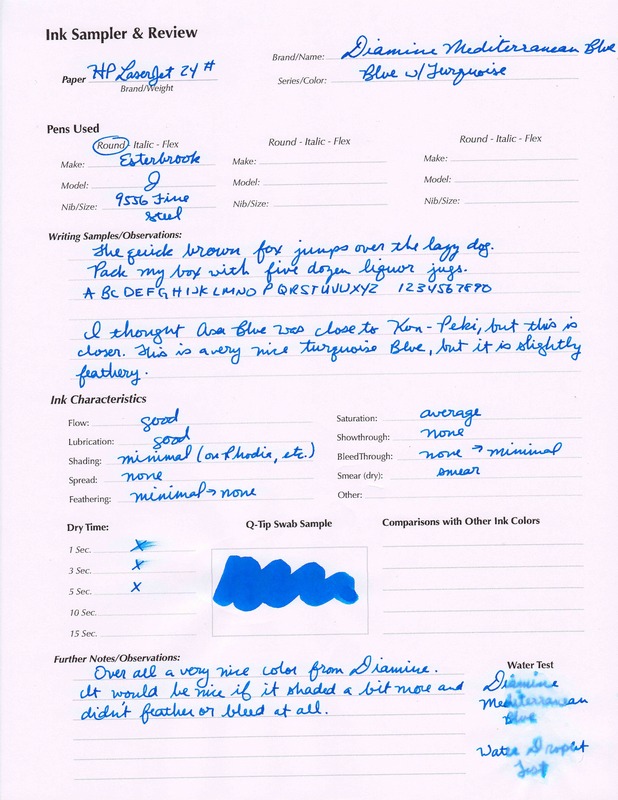 However, take a close look at the review card and sheet for MB. It has some behavioral issues that might be a no go for some. 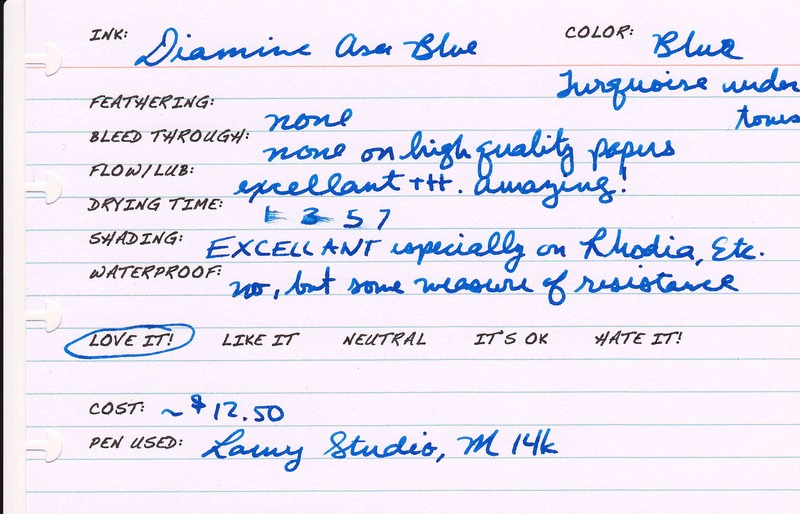 If behavior is more important to you than the color match I’d choose Asa Blue as the alternative. Do you know of any other alternatives? If so, please leave a message listing them. We’d all appreciate it! 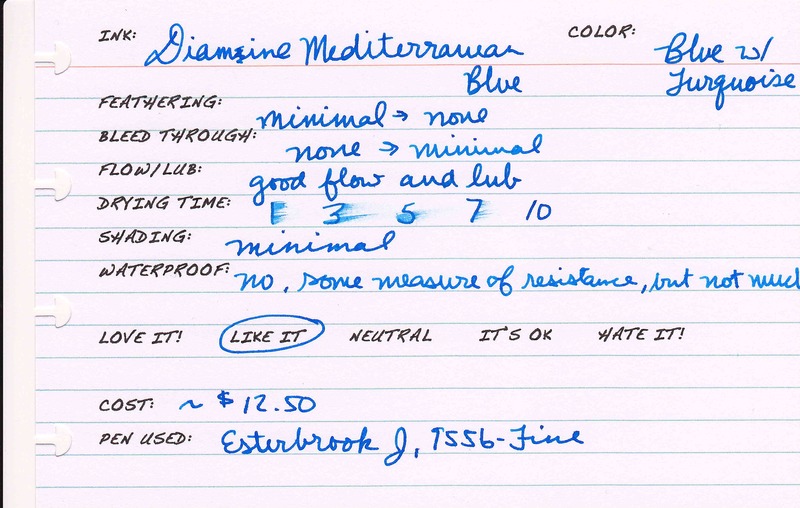 The two bottles of Diamine were sent to me for review by the good folks at Diamine. I am not otherwise affiliated with them. ← Calling all artists! 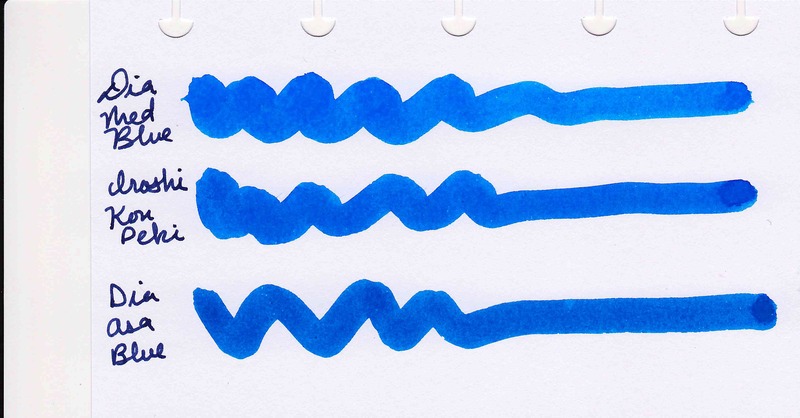 Can you draw me a dizzy pen? Nice job, Dizzy. I know you’re trudging through these comparison reviews as they are the toughest to do. Everyone appreciates your work! For my eyes, these are some great Iro alternatives, thanks!